Blake Harrison of Pig Destroyer guests this week. We discuss the lengthy break between the band’s new album Head Cage and Book Burner (2012), if the title of the record contains any messages about modern society, how a Pig Destroyer show has become an event for our genre, how they got on the Showtime promo for the new Twin Peaks series (while we fanboy hard on David Lynch’s career), playing “Natasha” in its entirety and if there is a demand for that song, his thoughts on doing a Pig Destroyer live record, and turning down an offer to do Prowler in the Yard in it’s entirety (and his take on that general phenomenon). 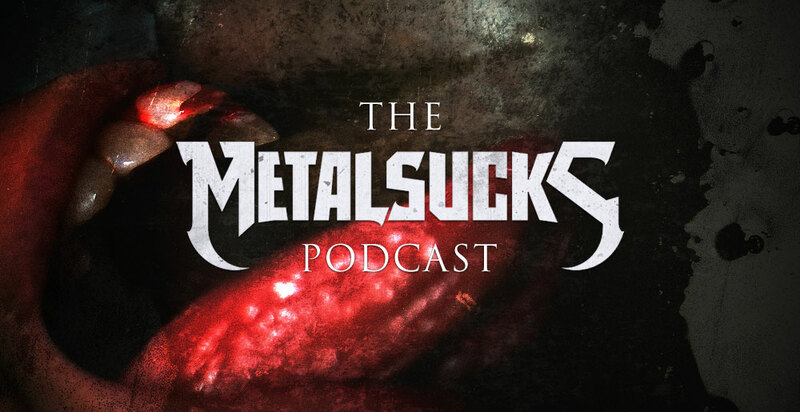 Also this week MetalSucks co-founder Axl Rosenberg calls in to discuss his perfect score for Head Cage, the comments and reviews he’s been reading about it and his thoughts on the rest of Pig Destroyer’s discography, which Petar unfairly makes him rank on the spot. Petar and Brandon create an ad for the splendid new Atreyu song, discuss Brent Hinds’ comments about metal being “the most brutal job” he’s ever had (and Devin Townsend’s response), the Sword’s recently-announced hiatus, and our thoughts on the cruel realities of being a non-stop touring musician in 2018.